Ukrainian flag made in Ukraine. This flag is made of a Nylon material. Traditional National Dark Blue and Yellow Gold colors with a silk screened Tryzub, visible from both sides. Very nice for commemorating a Ukrainian graveside, waving in a parade, or to display proudly outside or inside your home. 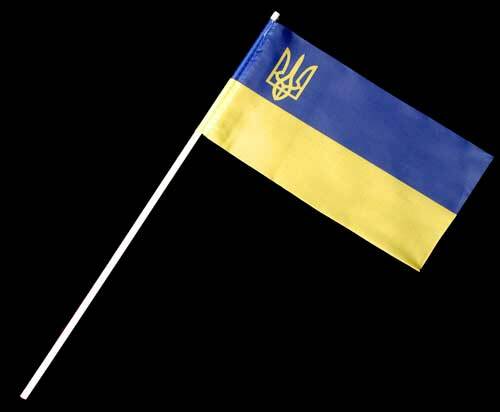 All of our flags are all made in Ukraine.